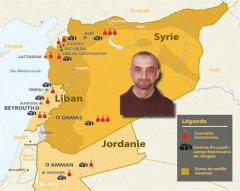 [From Custodia.org] As from the morning of 23 December, we have lost all contact with Father Dhiya Azziz ofm, parish priest of Yacoubieh (Syria). Father Dhiya was travelling with a taxi car. There were other passengers with him. He departed from Lattakia early in the morning and was heading for Yacoubieh, most probably passing through Hama, in order to arrive at his parish for the Christmas festivities. He was returning from Turkey, where he had gone to visit the members of his family who live there as refugees after Daesh (ISIS) entered at Karakosh (Iraq), his native town. The last contact by telephone was registered on 23 December at 9.00 a.m. From that moment nobody knows where he is. He should have arrived at Yacoubieh during the early hours of the afternoon of the same day, 23 December. There is absolutely no news regarding Fr. Dhiya and the other passengers. We are trying to contact the various factions on the ground in order to understand whether somebody is in a position to give us information. Up till now there have been no results. It is reasonable to assume that he has been kidnapped by some group. We are doing all that is possible to understand who could have kidnapped him. Unfortunately, the chaotic situation in the Country does not permit us to achieve much. If we receive other news, we shall communicate it. 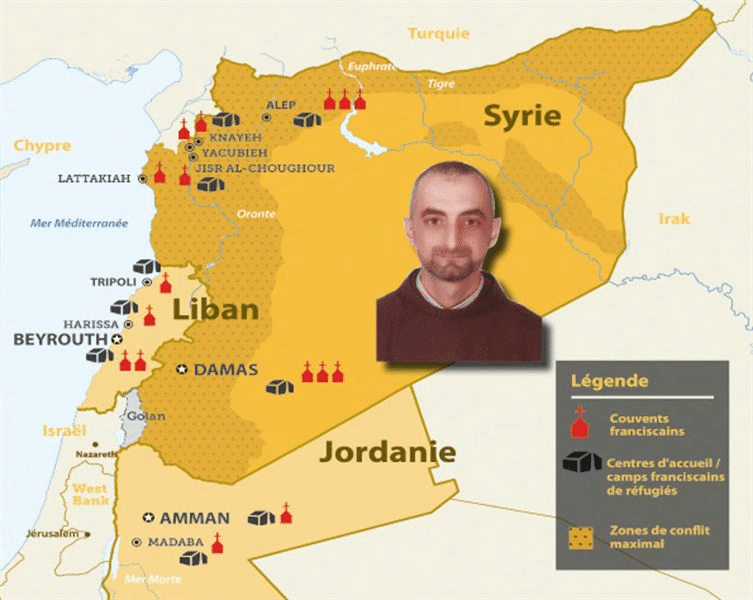 We invite all to pray and show solidarity with Father Dhiya, with his parishioners, with his confreres in Syria, with the spiritual leaders and pastors and all those who are still dedicating their lives and energies in that Country to do good to all. 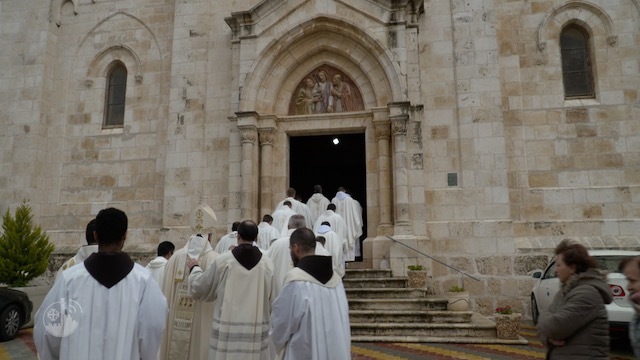 Read more about the Emergency in Syria and what the Franciscans are doing in the Country.